The sales of crossovers around the world are rising with unprecedented speed. This has been particularly the case in the United States, where the market is flooded with these vehicles and new models are introduced every month. Clearly, the U.S. crossover market is one of the hottest and promises automakers the largest profits, which is evident by the thousands of vehicles sold every month. Toyota has been in the crossover party for a long time now and clearly, knows how to get some of that potential benefits that U.S. market provides. By making the new RAV4, it simply responds to the demand for a new updated product, which, by the way, is the company’s most popular compact SUV at the moment. To keep up with the fast pace of the crossover market and maintain the competitiveness of RAV4 in the next several years, Toyota gave the model a mid-cycle update for 2016. Unlike many automakers that tend to consider this kind of update as a relatively small step, Toyota has apparently decided to take it one step further. Well, to be honest, at least several steps, because the RAV4 was added with new style tweaks, redesigned infotainment elements, the latest selection of safety features, and a brand new sporty SE trim level. While this is certainly impressive, the largest and most important update is the addition of the hybrid powertrain. 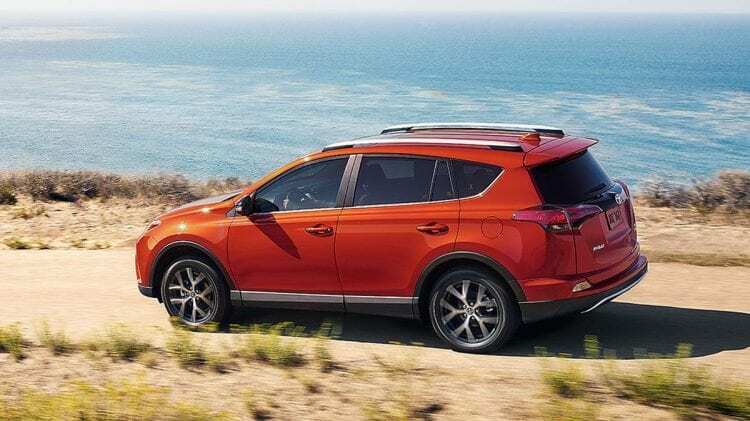 Apparently, the restyling and update is critically important for RAV4 because it is now in its fourth generation and faces fierce competition from Subaru, Mazda, and lots of other manufacturers. Can it deliver the expectations and lead Toyota into the bright future in the crossover segment? Read below to find out. Also popular Toyota car is 4runner! The body of RAV4 supports the idea that Toyota accomplished a more SUV-like appearance, which is particularly evident in the front. The nose of the vehicle was lifted as is the stance and the bumper was provided with the new shape. Higher nose proceeds to transform into a high beltline in the car’s profile. The redesign is also present with the new and slimmer headlights and upper grille; furthermore, the lower grille is bigger and contributes to the feeling of increased width of the entire vehicle. When viewed from a profile, RAV4 indeed looks sportier but also has that traditional SUV appearance, as it was desired by the company’s engineers. Also, it is apparent that they added roof rails and changed rocker moldings and fenders. These changes will be basic on all trims, and obviously, Toyota wants to push the bar higher than before. Read also about 2017 Toyota RAV4. To complete the high beltline, the taillights of RAV4 are fully reshaped, and plastic molding was replaced by the full-size bumper. Apparently, the design was tidied up in the rear with these elements, and the new rocker panels complete the design along the profile, thus finishing the transformation of the exterior. The customers will be offered five different styles of wheels, and the choice will depend on the trim level. Among the options are 17-ich steel, 17-inch, and 18-inch alloys units. Wrapping up the exterior, it should be noted that the new SE trim level will feature some distinct design elements that will differentiate it among the other trims. These include a new bumper, honeycomb grille, exclusive mirror visors, exterior paints and LED headlights as standard. 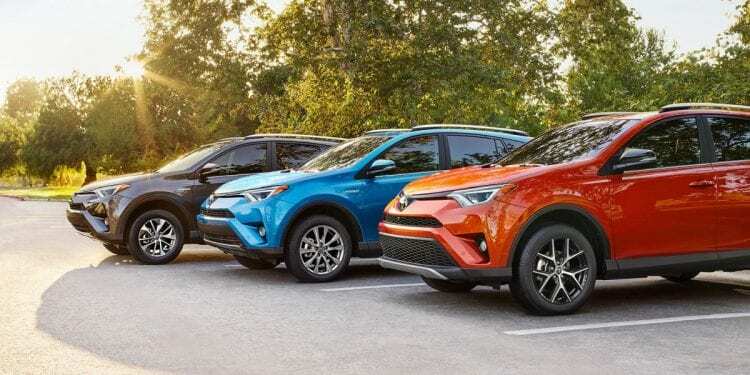 Toyota has decided to leave the dimensions of the new RAV4 identical to the previous generation model, including seating capacity, passenger room, and cargo volume. Specifically, the cabin size is left at 101.9 cubic ft and is slightly reduced to 100.7 if the moonroof is installed. In the case when the rear seats are folded you get 73.4 cubic ft of cargo room while the standard setup offers 38.4 cubic ft. As it was mentioned in the introduction, the vehicle was added to a new infotainment system: now, it features a wide range of features, including USB, iPod connectivity, radio, CD/FM, and Bluetooth. In fact, Toyota has decided to offer four infotainment systems to choose from, and the number of functions will depend on the trim level. We found new materials and soft-touch surfaces all over the cabin and liked it. All the materials used for manufacturing the model are of high-quality and perfectly complement the premium design of the cabin. 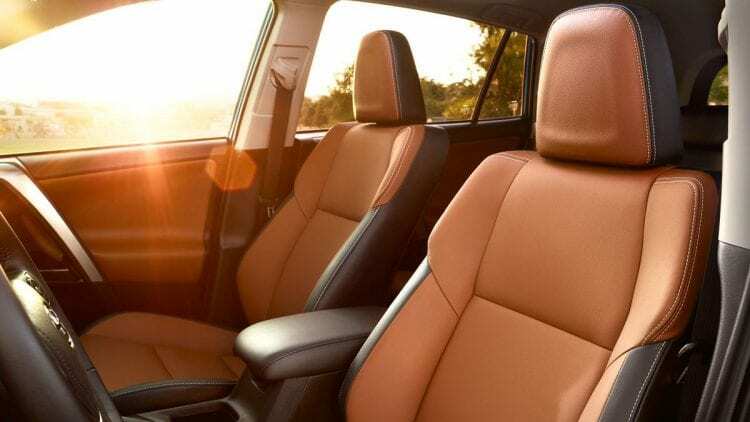 Before an updated RAV4 was released, Toyota had received a lot of complaints from the customers about the hard plastics in the upper section of the door that felt uncomfortable and did not allow proper rest for arms. The automaker has responded and changed the part by providing premium soft-touch padding. Speaking of premium, there are some advanced features as well, including power outlet and privacy glass for rear passengers, tinted windows, and LED illumination as well. Overall, the interior is comfortable, pleasant and upscale. The non-hybrid version of RAV4 will be powered by a 2.5-liter, four-cylinder engine rated at 176 horsepower and 172 lb-ft of torque. It will be coupled to a six-speed electronic controlled automatic transmission, with FWD as standard. The hybrid version will feature the same gas engine working together with three electric motors that send power to all four wheels. It was reported that the layout of engines was adopted from the Highlander model, where two electric units are placed along the front axle, and one is put in back to power the rear wheels. The total output from the hybrid system was measured at 194 horsepower and 206 lb-ft of torque. 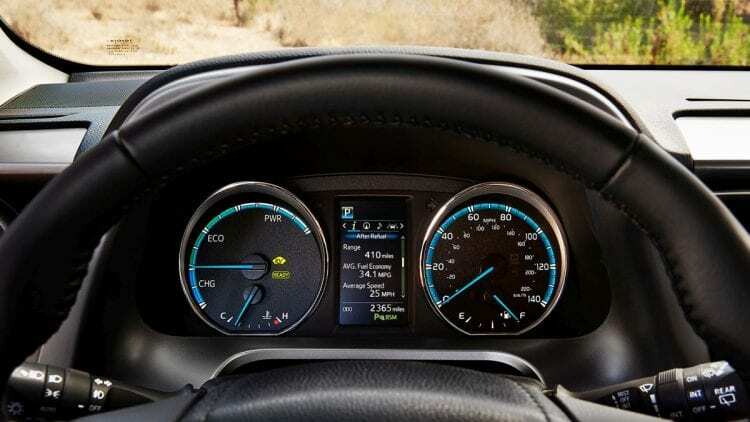 This ups the output of the gas RAV4 by 18 horsepower and takes the vehicle to 60 miles per hour in about 8.1 seconds. The fuel efficiency of hybrid is rated at 34/31 mpg city/highway. The NHTSA has awarded 2016 Toyota RAV4 with the highest ratings in overall crash safety and side impact tests. Four stars out of five were received for frontal impacts and rollover. This impressive result is further backed up by a range of features, including stability control, traction control, start assistant, eight airbags, blind-spot monitoring system, parking sonar, rear-cross traffic alert, and others. There are six trims offered, including LE, XLE, SE, Limited, Hybrid XLE, and Hybrid Limited. The FWD variants of these trims start at $24,350, $26,270 $29,265, $31,510, $28,370, and $33,610 respectively. If you want all-wheel drive version to be prepared to give slightly more money.